Used by military, arborists, fishermen, firefighters, climbers and boy and girl scouts the world over, Knots 3D will quickly teach you how to tie even the most difficult knot. With more than 130 knots, Knots 3D will be your go-to reference! Grab some rope and have fun! 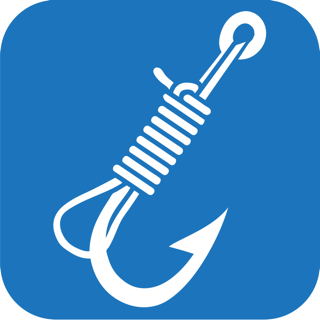 - Included in Scouting Magazine's "Ultimate List of Scouting Apps"
Choose from 131 different knots and see how they're tied in incredible detail. Watch the knot draw itself or use your finger to tie and untie the knot. Its easy to see where the virtual rope goes in and out and around. (Something about a rabbit and a hole and a tree right? ) Zoom in on the knot to get a closer look or flip it around for another perspective. Can your old school knot app do that?! I really like this app, I have 4 knot apps, and I use this one the most. As a firefighter rope skills is a must and this app helps keep me "knot prepared". The zoom and step through the knot using a finger gestures is real handy. The author updates this app with new knots often. I recommend this app. This is not only the best knot tying tutor you could ever wish to find in an app but it is definitely one of the very best learning apps I have ever come across. I’ve had this for years now and the gradual adjustments they have made to the presentation have consistently improved from what was already a very clear tutorial. The information about the knots and their uses is so well directed and animated it’s almost worth a loud round of applause. Not only that but they have added knots as time has gone on so there are now loads of solutions for any scenario. Take my word for it, this is the dogs doodads..
Really useful. 3D videos of how to tie each knot. It couldn't be clearer. You even have control over the speed and viewpoint of the tying process. A full description of the knot and it's uses, together with links to similar knots included. Knots can be viewed by type e.g. Knots for fishing, climbing etc. Should be included in any masterclass of how to build an app. The developer must have a PHD in ergonomics. Wow! I think the title shows what I think of this App - It’s stunning. I love every aspect of it, and for me, it covers every aspect you need to learn how to tie all these knots. I LOVE the fact that it divides the knots into Categories of where they are most used.